Gripes: The dispensing hole could be bigger! Efficient & Easy: This formula instantly removes all eye and lip make up, even waterproof and non-transfer. 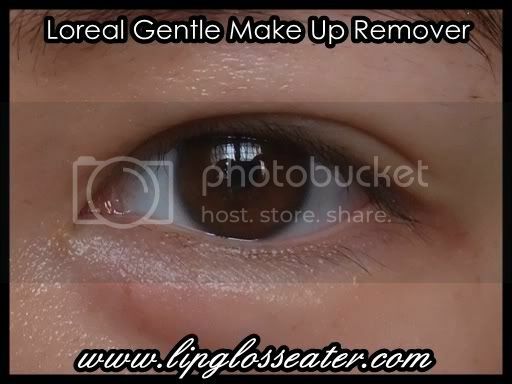 Gentle: Formulated for sensitive eyes, it is especially very gentle for the delicate skin around yes. 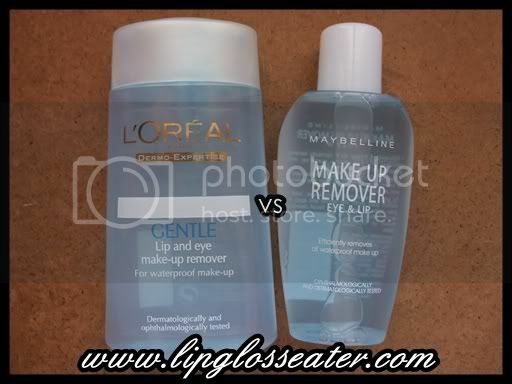 This remover has two layers - a darker blue one (oily layer) at the top, and a watery layer beneath. 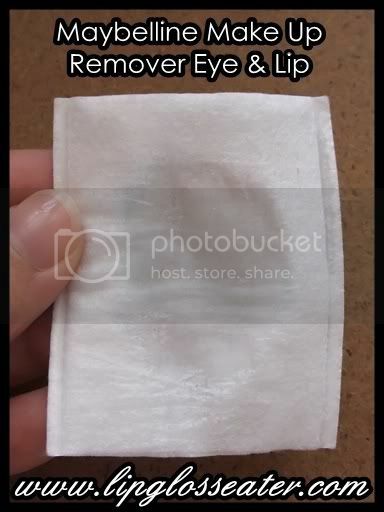 This remover is basically liquid, so it pours out easily unto your cotton pad. 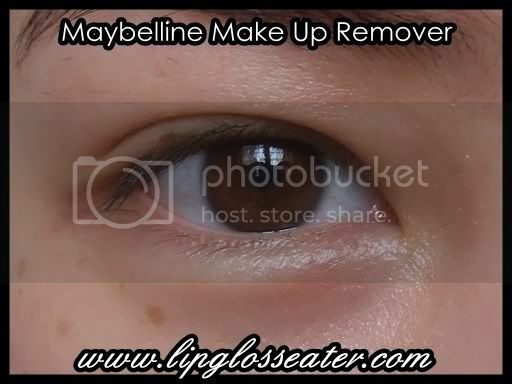 This remover has a very faint perfumey scent, but it is almost undetectable! This remover comes in a bottle with a screw off cap. 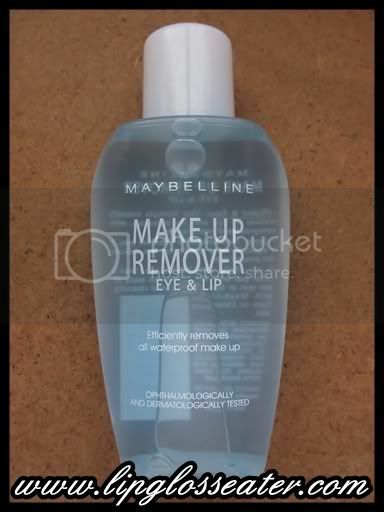 This remover is priced at RM16.90, which i think is really affordable! It's available at all Maybelline displayers at Watsons / Guardian / Your local supermarket! Pour this unto a cotton pad, hold in place for a few seconds, and wipe off in one swift stroke. Maybelline: 16.90 / 70ml = RM0.24 per ml! Both managed to remove every speck of makeup from my eyes, but if you squint, you can tell that the Loreal side left abit of an oily residue on my face! 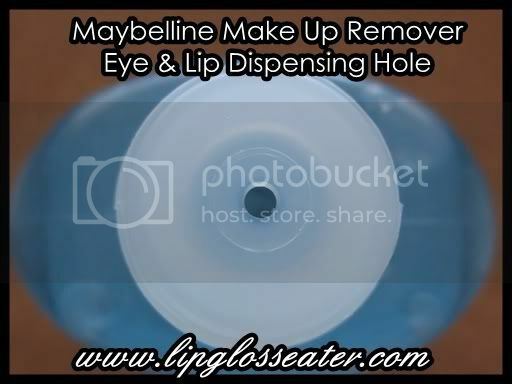 i've heard many saying that maybelline is really oily. 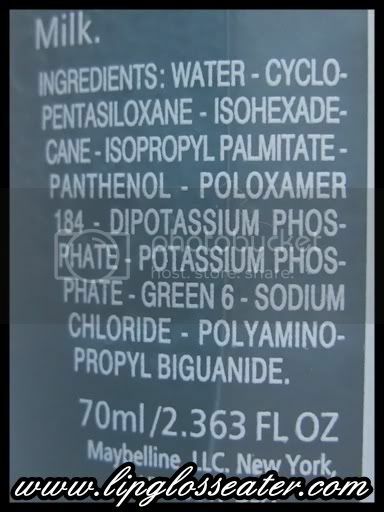 they also say that elianto and loreal are less oily. 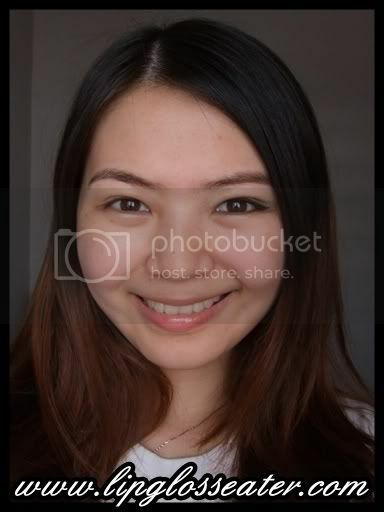 i have the elianto one but i cant make a comparison since i dont have maybelline or loreal. was very tempted to get loreal one next thou. i love this!!!! i bought 4 bottles at one shot when it was on 20% discount..hehehe talk about kiasuness..lol. Asides from price I can't find anything to differentiate the two. i wanna try this! thanks for the review and comparison.. This is super good! I always see reviews on the L'oreal one but not this. And none of them really compares the two. Great review.